What is Doctor Drug Testing? Urine is the basic body fluid tested for drug screening because it is easy to collect and easily handled and tested by medical and laboratory staff. The collection of urine in drug tests is preferred over blood sampling because the period of detection of a particular drug in the urine is increased, while drugs may only be detectable for a short period in blood samples. Additionally, Urinary Drug Testing (UDT) is far cheaper and non-invasive compared to blood tests collection. There are two types of drug testing used in clinical practice: Immunoassay Test and Fluorescence Polarization Immunoassay (FPIA). The drugs detected in the tests include marijuana, cocaine, opiates, phencyclidine (PCP), amphetamines and methamphetamines. Additionally, these drug tests detect benzodiazepines and barbiturates. The specimen is usually collected at a clinic or in the hospital to maintain the integrity of the urine drug test. Patients who refuse to undergo urinary drug screening should not be allowed to participate in chronic drug therapy. A policy adopted the Federation of State Medical Boards (FSMB) for prescribing controlled substances stresses the critical importance in documenting, evaluating and monitoring drugs in the pain management of patients. As a result, pain management doctors have been forced to evaluate professional risk in selecting treatment methods when treating patients for chronic pain. Concerns include civil, administrative and even criminal liability. So far urinary drug testing is considered the cheapest insurance for liability protection in clinical practice for pain doctors. 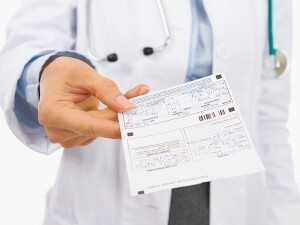 Drug testing by a doctor also has benefits for patients. First, it reduces the risk of over dosage in patients, detects non-compliance by patient, therapeutic failure and avoiding or detecting interaction of multiple drugs. Secondly, UDT enhances the pain doctor’s ability to prescribe drugs more effectively and minimizes treatment costs for patients. 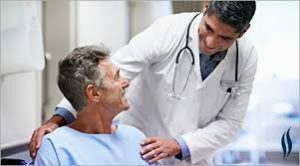 Patients who have concerns over the use of doctor drug test need to keep in mind that the results are protected by the physician-patient confidentiality rule. Therefore, the results of the test cannot be given to other persons without the expressed consent of the patient. Patients should know that doctors are advised against using drug testing as punishment but rather to enhance patient care. The drug tests are used in detecting patients who may be supplementing or abusing the prescribed drugs in their pain management. Contact us today to schedule an appointment to get further information on pain management and drug testing with the best Pain doctor in NYC. The spine is composed of a column of vertebrae that houses the spinal cord. The bony vertebrae are separated by intervertebral discs. The discs, in turn, are composed of a semi-fluid gelatinous material surrounded by a cartilaginous outer ring. 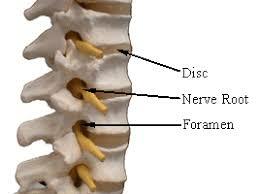 The discs permit movement of the vertebrae and act as cushions which absorb compressive and rotational forces. Over time, repetitive loading forces on the disc structures lead to degenerative disc changes. The outer cartilaginous ring (annulus fibrosus) undergoes microscopic tears which can cause “bulging” of the disc. An accumulation of these small tears can sometimes lead to a “rupture” of the annulus (also called a disc herniation). When a disc “herniates,” the inner semifluid material (nucleus pulposus) can escape the confines of the disc and enter the spinal canal. 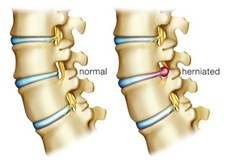 The herniated material can press on the spinal nerves as they leave the spinal cord. Pressure on the spinal nerves can cause pain which “radiates” into the arm (in the case of cervical disc rupture) or leg (in the case of lumbar disc rupture). Spinal nerve root irritation can cause numbness and/or weakness of the arm (cervical disc disease) or leg (lumbar disc disease). When conservative measures fail to control neck/arm or low back/leg pain, the aim of surgery is to relieve pressure against the spinal nerve. This surgical procedure is called a decompressive discectomy. 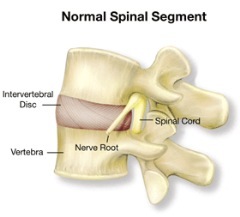 The herniated portion of the disc is removed which “decompresses” the spinal nerve. 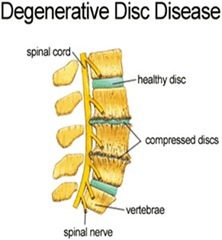 Sometimes, the interior of the offending disc is explored and any loose fragments within the disc are also removed with the intention of preventing “repeat” herniation. 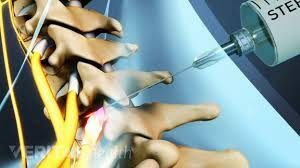 The initial goal of treatment is to prevent the need for surgery including decompressive discectomy. Dr. Grimm specializes in non surgical treatments that help relive back pain and alleviate the need for surgery. Please contact the best pain doctor in NYC, Dr. Matthew Grimm, to schedule an appointment.